Major League Soccer Commissioner Don Garber spoke publicly for the first time to a small group of reporters about their plans to build a 25,000 seat soccer stadium at Flushing-Meadows Corona Park. The stadium would house the league’s 20th franchise. Major League Soccer (MLS) revealed plans to build a new soccer stadium at Flushing- Meadows Corona Park, a proposal that has drawn the ire of some civic groups and resi­dents who are fearful of how the facility will affect the historic park. The plan would be to build a 25,000-seat stadium on the northeast section of the park, where the Fountain of the Planets is currently located, for a to-be-determined 20th MLS franchise. The league would have the option of expanding the stadium’s capacity to 35,000 if they find it necessary, according to league officials. Speaking publically for the first time about their plan, MLS Commissioner Don Garber said at a media briefing last Friday that the league has always wanted to put a team in New York City since it was founded in 1996. He said that after looking at many different areas in NYC to build the stadium, including Pier 40 in Manhattan, they found the perfect place for it in Queens. He added that soccer is a popular sport in the United States and they hope to bring that game to Queens, a borough with people that have many different ethnicities, races and religions. According to MLS, the stadium would bring about 2,100 to 2,300 jobs to Queens during the facility’s construction and it will provide approximately 160 full-time jobs and 750 part-time jobs to the borough once the stadium is completed. It would host about 25 soccer games a year and around 40 other events including concerts and community events. Garber said that the league currently does not have an agreement with the city to build the stadium but that is expected to be finalized within the next 30 days. Among the concerns that civic groups have about building the stadium at Flushing-Mead­ows is the loss of parkland it would create. The commissioner and MLS officials both said that the league has their eye on two differ­ent areas in Queens where they would create new parkland to replace the green space lost at Flushing-Meadows. The two areas are an MTA site next to the Flushing River and in Rego Park, alongside the abandoned LIRR tracks there, which would be part of the LIRR revitalization plan or the QueensWay that many residents and civic groups in western and south­ern Queens have argued back and forth about. Will Sweeney, who is a member of the Jackson Heights Green Alliance, is against the stadium being built at the park and he said that many residents feel the same way. He organized a public meeting early last week to give people a chance to express their views on the potential stadium. Sweeney said that the main reason for his opposition is the amount of cars, traffic and parking problems the stadium would bring to that area. He also said parkland is one of the most valuable things that Queens has and that anywhere that the league and the city creates parkland would not be the equivalent to what currently exists at Flushing-Meadows. He added that the two proposed parkland sites would not be as accessible by car or public transportation to residents as the park is and it would damage the nostalgia and history of that area. The park hosted two World Fairs, the first in 1939 and the second in 1960. Sweeney offered an alternative solution if MLS wants to build a stadium in that area: put it adjacent to Citifield where the parking lot currently is. He said that putting the stadium at that loca­tion would make it more accessible to people who travel to the games, the 7 subway line takes commuters to Citifield to see the Mets, and it would protect the park from losing its green space. Nonetheless, part of MLS’ plan for the area is to create and/or renovate nine public fields around the stadium and give control of those fields over the city Parks Department. 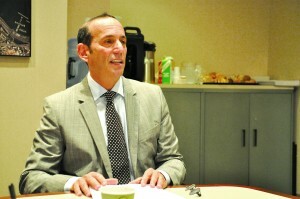 Garber said that the community will benefit long-term from the stadium and it will boost the local economy. He also said that the league will benefit from the stadium as well, which hopes to cre­ate a rivalry between the new team that would play in the Queens stadium and the New York Red Bulls, who play their games in Harrison, New Jersey. If there are no delays in the process, con­struction on the stadium would begin in 2014 and be completed between 2016 and 2017, according to MLS officials. 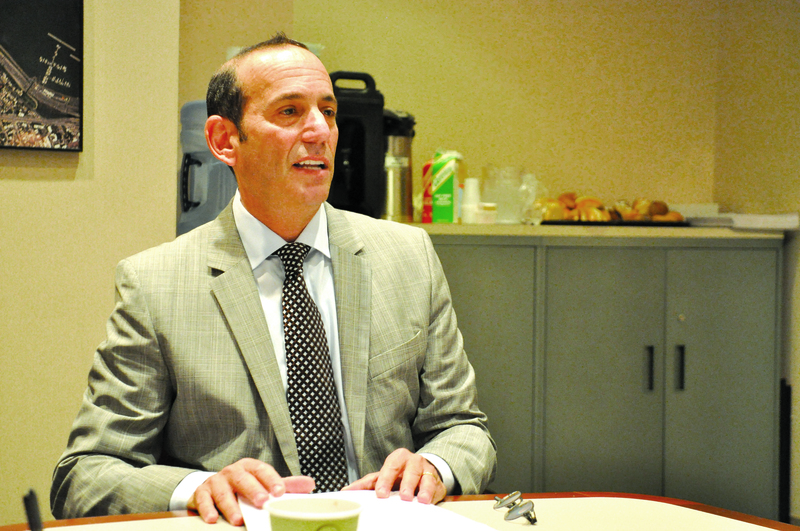 Garber said that they will be presenting their plan to the public in the near future in or­der to get feedback on it and what they could do to tweak or improve it. Sweeney said his group will be meeting with MLS in the coming weeks about their proposal.